Many people think that alphabet books are primarily for teaching sound-symbol relationships to emergent readers. However, their use goes way beyond that. I’m not talking about reading them, although that is a good idea, I’m talking about the motivating and engaging activity of writing them. My hope is that after perusing these 10 reasons you will decide that alphabet books are great instructional tools that offer many benefits and want to create one with your class. My students always loved them. In fact, for many years, I taught a graduate-level content area reading course at a local college. The graduate students chose to create them as one of the culminating activities of the unit they were required to write for the course. Writing either one class book or individual books will help your students to better understand the more difficult topics in your unit. 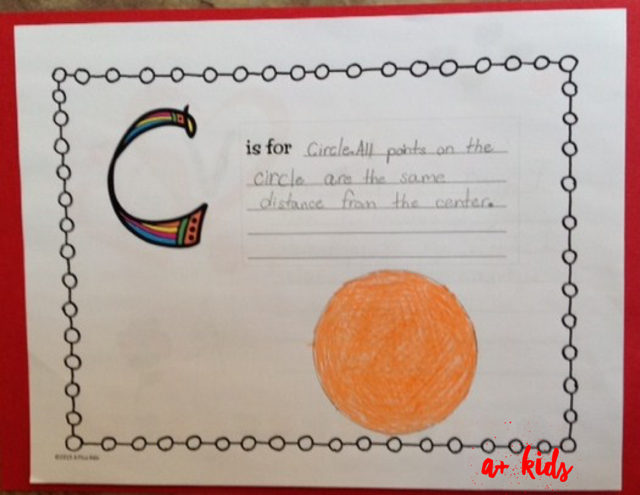 Alphabet books can be written on various levels of complexity making them appropriate for content area subjects in the upper elementary grades on up. It is expected that more sophisticated students will have more sophisticated responses. Your students’ vocabulary will increase. Vocabulary words are listed on an alphabet chart and discussed as material is read. Students need to have an understanding of the vocabulary in order to write a cogent paragraph demonstrating knowledge of the vocabulary word. Students learn how to do further research, when needed, to get details necessary to describe the topic. Students re-inspect material read to cite exact details. Writing a paragraph provides the student with opportunities for language development. Written expression is enhanced when the student must describe what he has learned. Concepts of the content area subject are reinforced as students use vocabulary words in context to write a passage for each letter of the alphabet. The task requires students to understand and be able to apply content area material. Completed books are great non-fiction, informational books that can be used to review academic material. Students have an opportunity to show off what they have learned. Each book is a source of pride to be shared with the class, guests of the class (the teacher next door or the principal) and parents. Students learn to understand the difference between reading for enjoyment and reading for information. Students need to know how to use the information they have read. Writing vocabulary words in context helps them to demonstrate this. 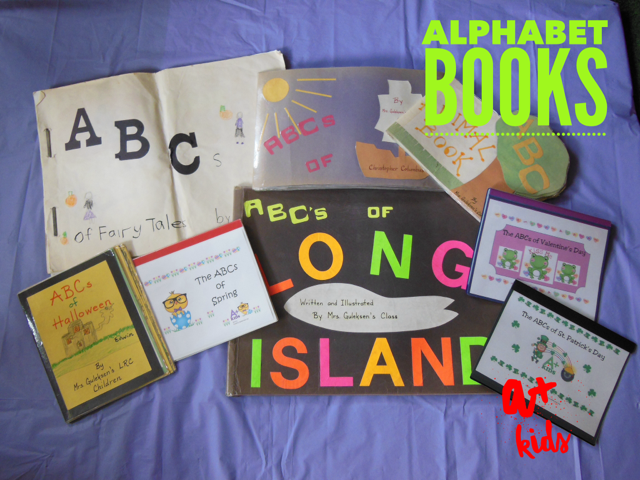 Constructing alphabet books in the classroom is an activity that offers differentiated instruction. Poor readers and reluctant readers feel encouraged to participate. They can work at their own pace to choose the words they understand. Working with a buddy will help them to complete the task of describing a difficult concept. The best part is that is the teacher’s choice to set the requirements. Some students may only add a sentence while more able-learners will be required to add a paragraph with a minimum number of sentences. 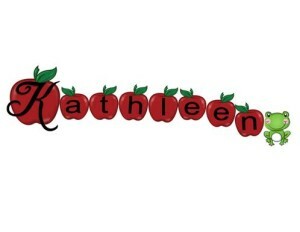 Creating an alphabet book is fun and educational! Students should have fun constructing their books and work with a buddy or a small group. 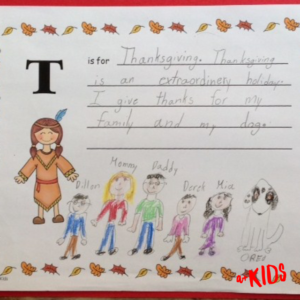 Students can draw illustrations or find them in magazines or the internet. Sharing illustrations will add to the fun as well! Here is a pictures of ABC books my classes have written over the years. The ABCs of Animals book was written by emergent readers and contains only one word for each letter. All of the other books are on higher levels. The Halloween book was a fun book my resource students wrote after reading a few Halloween stories and poems. The Long Island book was a 4 months long project! As we studied various things about Long Island we added to the book until it was finally done in May of that school year. 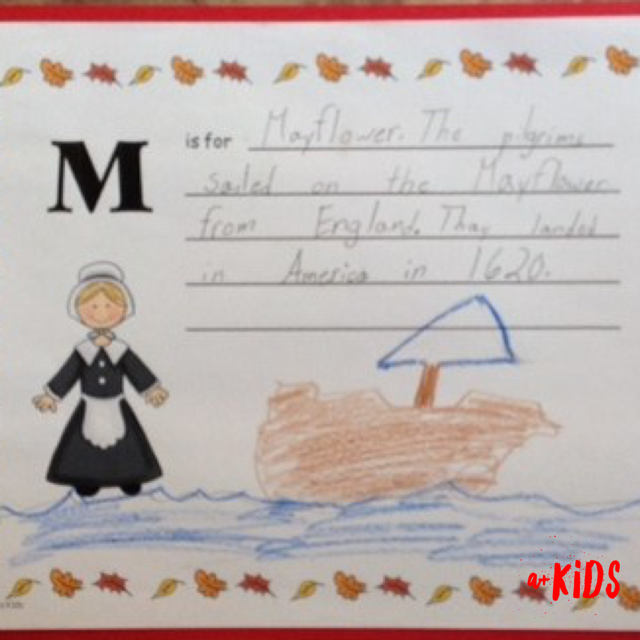 When we studied Christopher Columbus we decided to make an ABC book to tell all about him. I guarantee you that adults reading the non-fiction books will learn something they did not know. 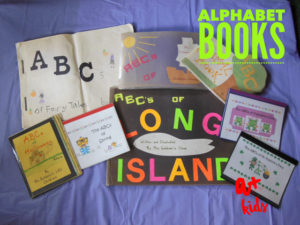 If you would like to write an alphabet book with your class, you can make one using construction paper or you can purchase an ABC book for your students at my store. (The December alphabet book will be appearing shortly). Better yet, you can enter the Rafflecopter to win a $10 Teachers Pay Teachers Gift Card and have enough $$$ to treat yourself and your class to a great holiday activity. Twelve teacher-bloggers have joined together to have this fabulous hop that gives you chances to win one $10 TpT gift card at EACH BLOG. It's possible to win a prize for every Rafflecopter you enter! That's a total of 12 TpT gift cards to be given away. So be sure to complete the hop for your best chance to win some great gift cards! The Rafflecopter ends Monday night at midnight so winners can shop at the TpT sale on Tuesday! The winner is Hilda from MM Bilingual! Posted in Blog Hop, Resources on November 27, 2016 by Kathleen. Yes, yes, and YES!!! I absolutely love making ABC books with my 5th and 6th graders! I am always am so impressed with the vocabulary they come up with and the creativity they display. I also love having them make them in collaborative groups. The discussion and negotiation is superb! Thanks for sharing this! 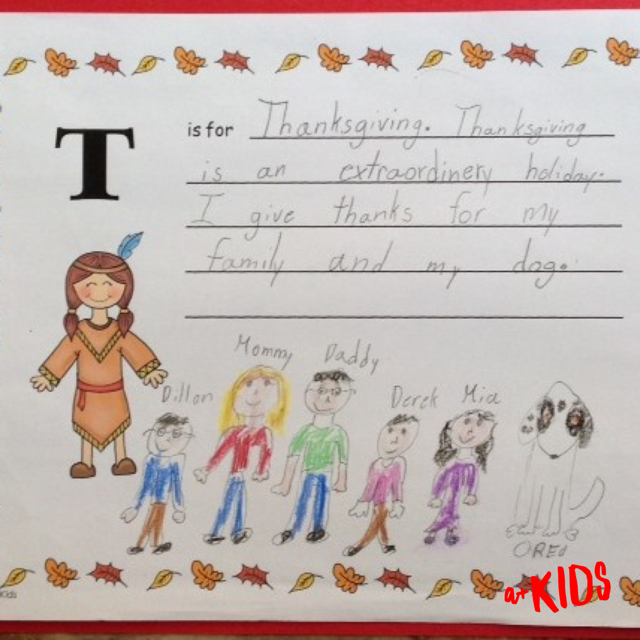 Lisa, I am so happy to hear that you enjoy creating alphabet books with your class. I really do enjoy working with the kids in collaborative groups too. The kids get so much out of it! The vocabulary is usually pretty impressive! Thanks for letting me know you love them as much as I do! 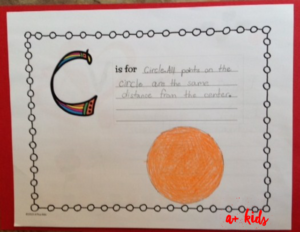 So many great reasons for using alphabet books! I love the fact that they can be differentiated by student need and for so many different content areas! Thank you for sharing and joining in our link up! 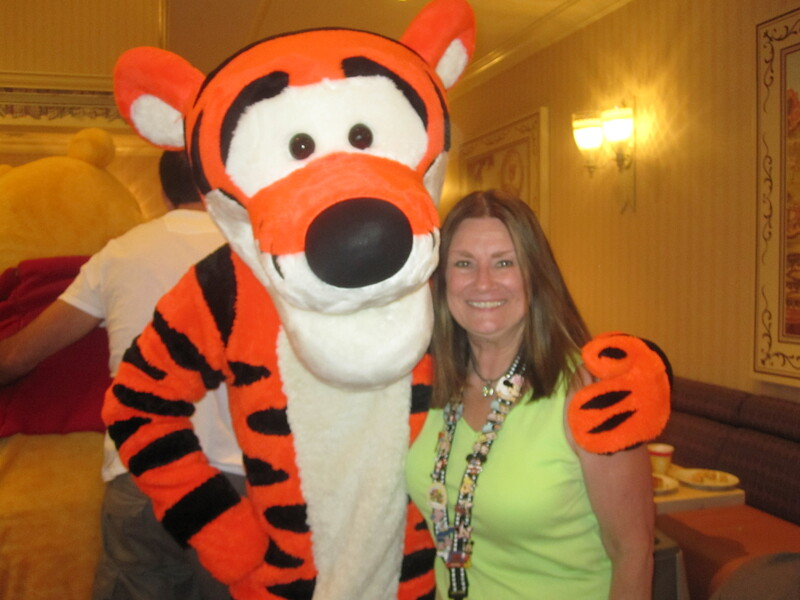 Kelly, it was my pleasure to join the link up! So much fun! Yes, alphabet books can be used for any subject matter quite effectively and the tasks to complete them can easily be differentiated so all of your students are participating on their ability level. I hope you enjoy creating one!